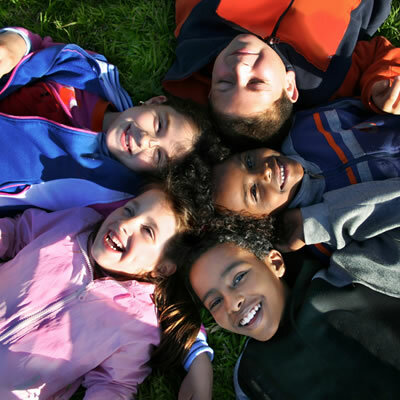 The Children Come First (CCF) program provides wraparound care coordination for children and youth ages 0-19 with diagnosed mental health concerns. CCF’s primary mission is to coordinate mental health treatment, community resources, and supports in order to prevent or reduce the risk of a child being placed out of the family home. The CCF program is a managed care model of care coordination, which allows families and professionals to work collaboratively to identify the needs and goals of a family and select services and supports from the CCF Provider Network that best meet their needs. View the CCF program brochure in English here. CCF Wraparound offers intensive wraparound care coordination for an average of 18 months, based on the need for this level of care. Children enrolled in CCF Wraparound are considered to be at serious risk of institutional placement (psychiatric hospitalization, residential care center, or corrections). CCF Family Support offers intensive wraparound care coordination for an average of 18 months to children at risk of placement outside their family home (foster home or group home), or to prevent foster care disruption. CCF Hospital Diversion provides crisis stabilization and hospital diversion services to children and families for up to 3 months. Hospital Diversion services offer intensive in-home crisis stabilization, safety planning, care coordination, parent support, and behavior management. Be in need of additional support in at least 2 of the following areas: self-care, community safety, social relationships, family relationships, and/or school. To make a referral for CCF services or to learn more about the program and eligibility criteria, call our Central Intake line at (608) 250-6634 ext. 135, or reach us by e-mail. Our Referral Specialist will review your referral information and recommend the CCF enrollment type that you qualify for. The CCF Family Handbook is provided to all families at the time of enrollment into the Children Come First program. This handbook will cover important information about your child’s enrollment, what to expect from CCF services, how to plan for services, as well as information about transitioning out of the CCF program. The CCF Family Handbook is provided to all families at the time of their enrollment into the Children Come First (CCF) Hospital Diversion program. This handbook will cover important information about your child’s enrollment with the CCF Hospital Diversion program and will provide information on what to expect from CCF services, how to plan for services, as well as information about transitioning out of the CCF Hospital Diversion program. The CCF program operates a provider network comprised of both traditional and non-traditional services. When youth are enrolled in CCF, their team and CCF Coordinators and/or Clinical Specialists are responsible for selecting, authorizing, and coordinating services. CCF Directory: Click this link to view a copy of our current CCF Provider Directory. If you are interested in joining the CCF Provider Network or have questions about your current contract with Children Come First (CCF), please contact the Provider Network Coordinator, Brianna Vejvoda. CCF Provider Application: New providers must complete this application and submit it to our Provider Network Coordinator prior to their acceptance into the CCF network. CCF Certification Guide: The Certification Guide is intended to offer Children Come First (CCF) providers guidelines regarding the documentation that they must maintain on file and/or submit to CCF when adding new service providers. CCF Covered Services: The Covered Services Document explains services that are covered by CCF, reimbursement rates for providers, and billing codes. CCF Provider Manual: Download and review this form as it will provide you with necessary and helpful information related to being a provider in the CCF network. Prior Authorization Form & Prior Auth Instructions: Clinicians providing a clinical service to any CCF client need to complete this form every 90 days and submit it to RISE. Provider Change Form: Complete this form if you need to add, remove, or edit any clinician/personnel information for your agency’s CCF contract.